Hi all, how is everyone going with their mini minis? I haven't done much of late as racing has been real quiet at our local track. I am planning to race up in Sydney next weekend so that should be fun. Has anybody had much luck getting a short wheelbase car setup well for a largish ashphalt track? 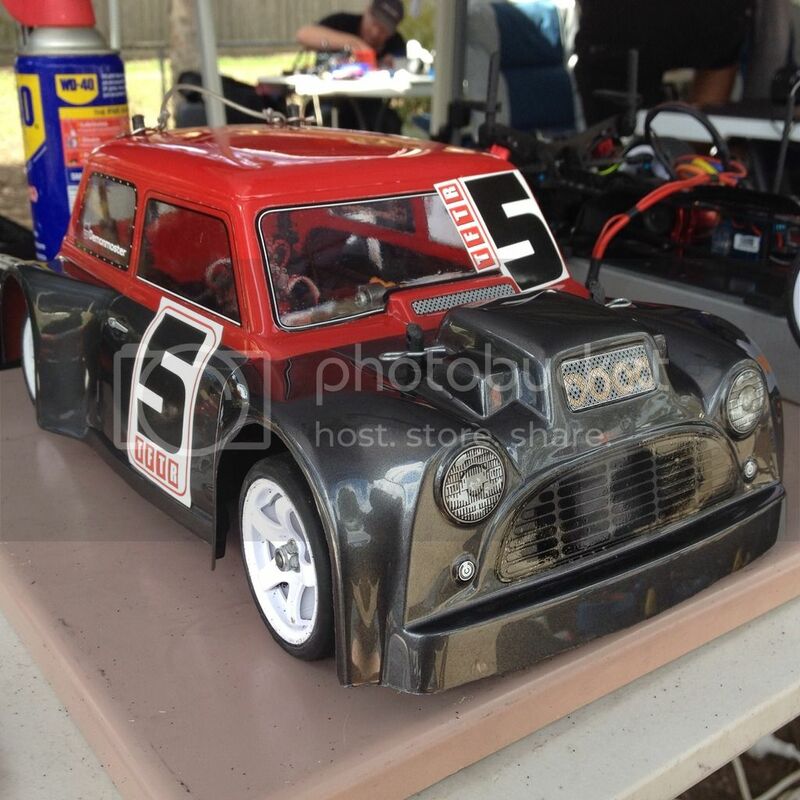 I'm currently running a mid wheelbase with an Audi body, but would really love to run the mini body. Ran my junker M03 at the vic titles. Couldn't beat NT, who ran 3rd, but finished 4th. Here is my monster body. Used it in the finals at the Vics. I love it. How did it go running a swb? I've ran SWB almost exclusively. Except for when I ran the 'fridge' body (some square Starlet). So what's the secret to setting up a SWB mini for larger tracks? As per always, start it safe. Run it hard in the front and soft in the back. Adjust until you can JUST drive it (a loose car is a fast car, but ONLY IF you can steer the thing). loose is fast and on the edge of out of control... ? Bingo! The good guys can steer them. I have to tone it down a bit. Haha! It's been a long day and a half back at work... take me back to Hay! Just waiting for the body reinforcements to dry before I can test it out.